Careers in paleontology are possible, but you will need an advanced degree in order to obtain a long-term position in this field. If you love science, geology, and the history of life on Earth, then working in paleontology may be a great fit for you. Although most people think of dinosaurs when they hear the word paleontology, the term actually refers to the study of the entire fossil record. It encompasses the study of the geological record of the Earth, fossils of plants, invertebrates and vertebrates. Paleontologists almost always have an advanced post-graduate degree. Most people who work in this field begin their studies after high school as a geology or biology major and earn a Bachelor of Science. After graduating from a four-year college, they then to on to graduate school to earn a Master's degree followed by a Ph.D.
Paleontologist must know a lot more than fossils. They need a good understanding of geology, biology and chemistry. They must be comfortable in mathematics, especially statistics. Fluency in a foreign language is also useful since their work often requires collaboration with scientists at universities around the world or travel to various countries to examine fossils or compare research with other scientists. Most working paleontologists are employed full-time by a major university. Their duties may include teaching undergraduate and graduate classes as well as research and field work. For people who enjoy teaching, speaking and researching as well as the extensive scientific background needed, a paleontology career can be a great fit. A very small number of paleontologists work for big museums such as the Museum of Natural History in New York City and other museums throughout the world. Keep in mind that only the very largest museum collections contain an extensive enough collection of fossils to require a professional paleontologist on staff. Another often-overlooked career choice for paleontologists is the commercial arena. Oil, coal and gas companies sometimes hire paleontologists as well as geologists to help them determine the best locations to search for possible raw materials. Because oil, coal and natural gas are produced from fossil fuels, understanding the ancient history and guiding exploration attempts to the best potential sites offers paleontologists and interesting way to use their extensive knowledge for commercial gain. Job opportunities for paleontologists are shrinking rather than growing. Big oil and gas companies employ fewer paleontologists today than they did many years ago, preferring geologists to paleontologists. Universities rarely expand their paleontology research efforts. You may need to broaden your job search beyond your immediate location and be willing to work at a university, museum or government-sponsored research facility in another country or wait a while before a teaching position becomes available at a university. Should You Pursue a Career in Paleontology? 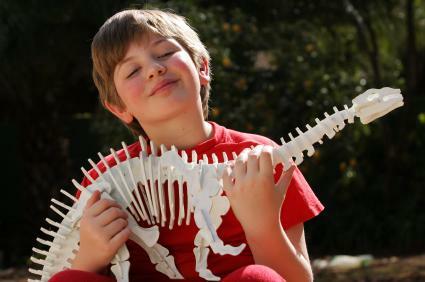 Whether or not you pursue careers in paleontology is up to you. If you're passionate about the sciences, love research, and aren't scared by the narrow range of career choices available, follow your dream. You never know where it might lead you, from a dig in the Gobi desert of China to a lecture hall at Harvard.